If you do not want to join a group or you are looking for specialised treatment for Community Detox or Dual Diagnosis then we can provide one to one supports for you. One to one support is offered through keyworking. Following an assessment you will be assigned a keyworker who will help you to develop a care plan. Community Detox is for people who would like to detox from street drugs or prescription medications in the community rather than in a residential setting and is done with the support of your GP. 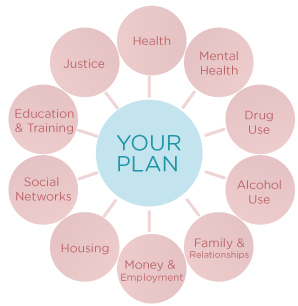 Dual diagnosis support is for people who have issues relating to substance misuse alongside a mental health difficulty. Dual diagnosis support is provided in conjunction with the support of the psychiatric services you are engaged with.